"The combination of Satcon’s best in class utility-grade solutions and their commitment to partner with us to drive value, from the design stages over the entire lifespan of the project, were the key factors in our decision to partner with them." Achieving the highest levels in performance and value in utility-scale solar installations requires a holistic approach to the entire system. The next generation of large scale solar value starts with optimized design, is built on a backbone of best-in-class technologies, and leverages the industry’s most comprehensive service programs to ensure that your investment consistently delivers over its entire life span. Satcon’s complete Utility-Ready system solution footprint integrates the industry’s most advanced and proven technologies with the services and programs to ensure that your systems are highly optimized, from the initial design stage, across its operational lifetime, enabling you to achieve the highest levels of total system uptime, yield and performance. For over 30 years, Satcon has been one of the world’s leading innovators in the large-scale power electronics industry. 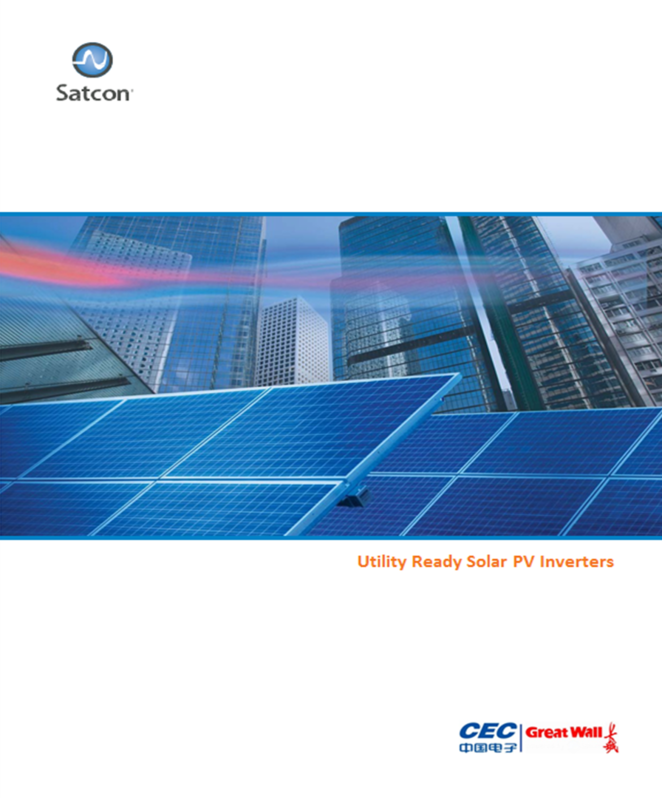 With a world class team of specialized systems and field engineers who have over 1,500 combined years of system design and engineering experience, Satcon can help you to optimize every aspect of PV systems, from the panel to the grid, across its entire twenty-plus year life span.